The smart and social robot that inspires creativity. 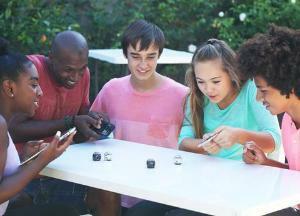 Chat with friends and even send Ozojis—emoticons Evo acts out! Pull out the markers and unleash your inner Picasso. Use Evo’s universal color language to make the bot speed up, spin and more in response. That’s right—you’re controlling Evo with colors! With OzoBlockly, drag and drop blocks of code to take full control of Evo’s features. 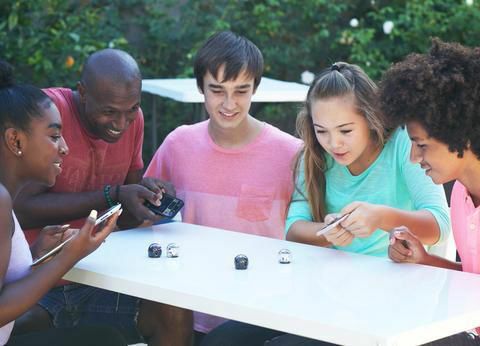 You can even create custom Ozojis, to make your “OMG” different from everyone else’s. Once you’ve mastered color codes and blocks, the rest is up to you. Make an epic racetrack and challenge friends, or create an elaborate Ozobot cityscape. 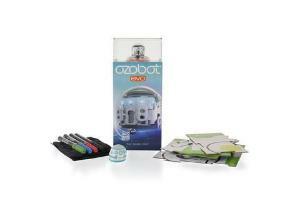 Visit ozobot.com anytime for fresh ideas and activities. 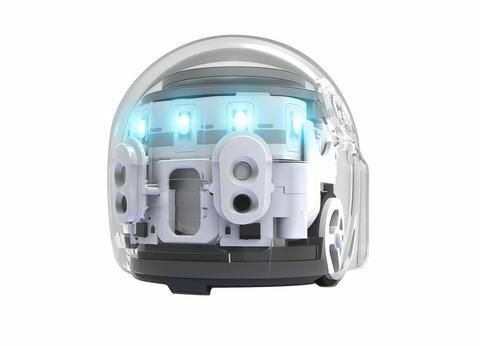 Ordering information: 1 Ozobot Evo, 1 Playfield, 1 OzoSkin, 4 Color Code Markers, 1 Carrying Pouch, 1 USB charging cable.